The Case-Shiller Index for the San Francisco Metro Area covers the house markets of 5 Bay Area counties, divided into 3 price tiers, each constituting one third of unit sales. 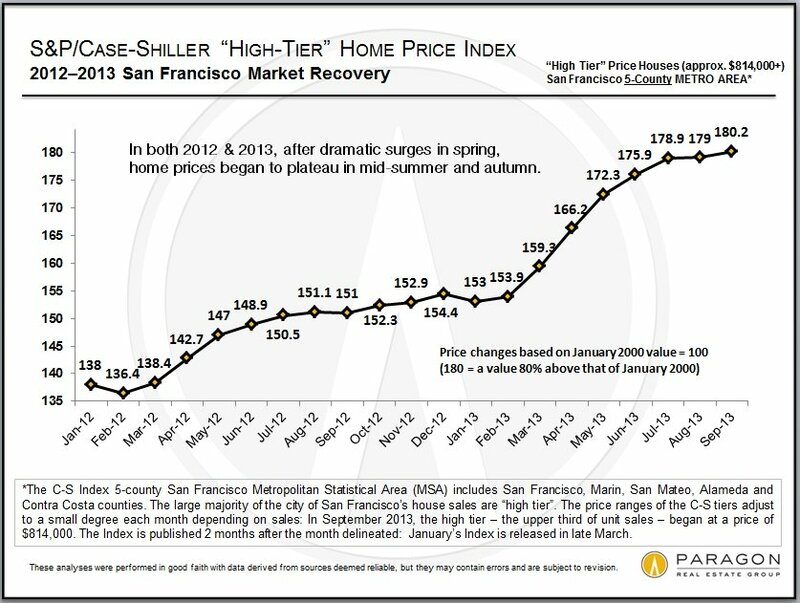 Most of the city of San Francisco’s house sales are in the “high price tier.” The Index is published 2 months after the month in question and reflects a 3-month rolling average. September’s Index was just released today, November 26th. 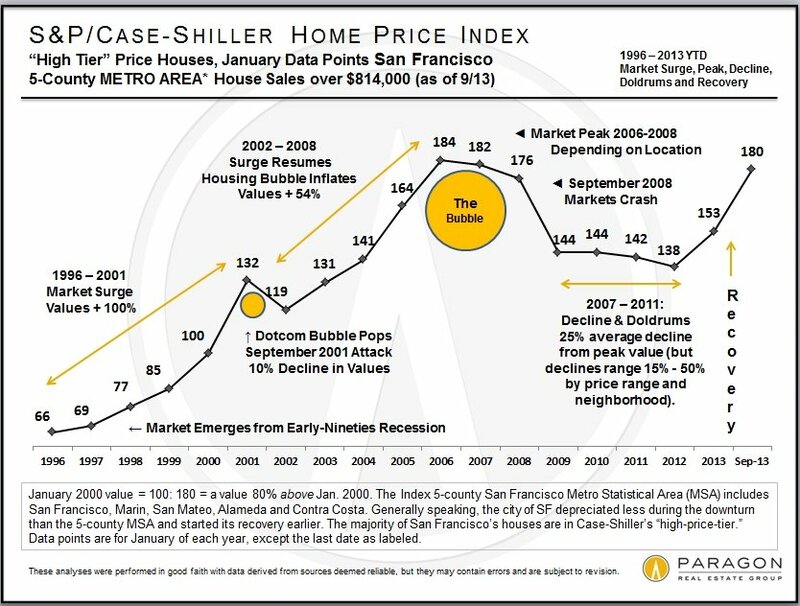 This first chart illustrates the price recovery of the Bay Area high-price-tier home market which really got under way in 2012. In both 2012 and 2013, home prices surged in the spring and then plateaued in the summer-autumn. The surge in prices that occurred in spring of 2013 was particularly dramatic, reflecting a frenzied market of huge buyer demand, historically low interest rates, increasing consumer confidence and extremely low inventory. 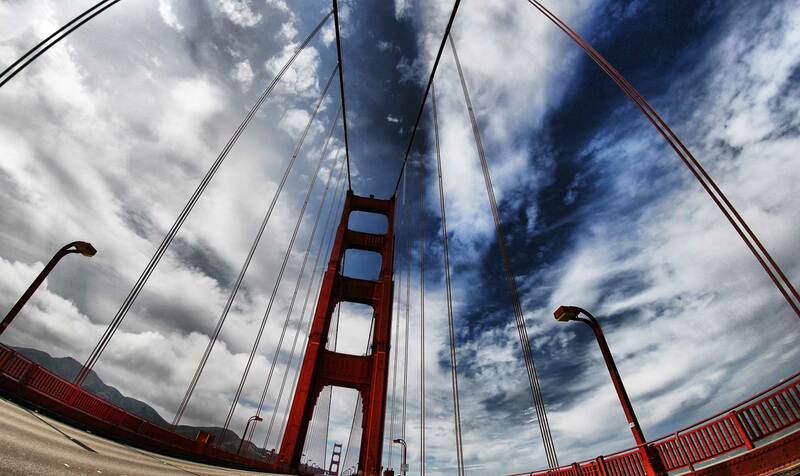 In San Francisco itself, it was further exacerbated by the high-tech-fueled explosion of new wealth. The market has since calmed down somewhat and that cooling is reflected in the Index readings of the past three months (through September). This second chart reflects what has occurred since 1996 showing the cycle of recession, recovery, bubble and decline/recession. This third chart compares the 3 different price tiers since 2000. The low-price-tier’s bubble was much more inflated by the subprime lending fiasco – an absurd 176% appreciation over 6 years – which led to a greater crash than the other two price tiers. All 3 tiers have been undergoing dramatic recoveries, but because the bubbles of the low and middle tiers were greater, their recoveries leave them well below their artificially inflated peak values of 2006. It may be a long time before the low-price-tier of houses regains its previous peak values. The high-price-tier, with a much smaller bubble, and little affected by distressed property sales, is now pretty much back to its previous peak of 2007. 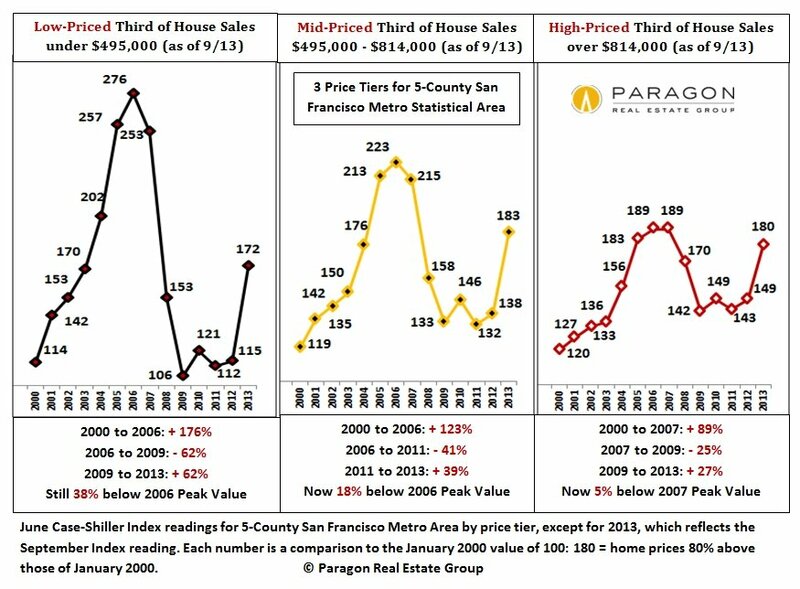 Many specific neighborhoods in the city of San Francisco have now surpassed previous peak values. It’s interesting to note that despite the different scales of their bubbles, crashes and recoveries, all three price tiers now have similar overall appreciation rates when compared to year 2000: ranging from 72% for the low-tier, to 80 to 83% appreciation for the mid and high tiers, over the past 13 years. The gap is relatively small and has been converging in recent months. Different counties, cities and neighborhoods in the Bay Area are dominated by different price tiers.